View George Square in the heart of Glasgow. 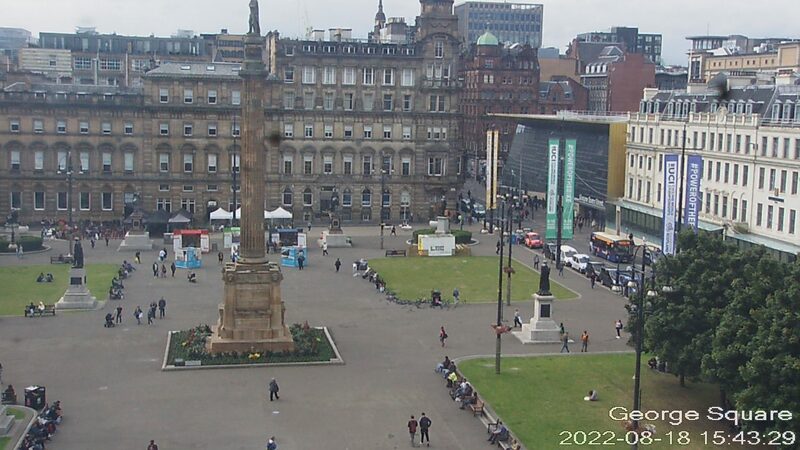 See what's happening in the centre of Glasgow or just check out the local weather if you're planning a trip to the city. The web cam will update every 20 seconds. At times of high website traffic the web cam may become unavailable for short periods. If this happens please try again later.